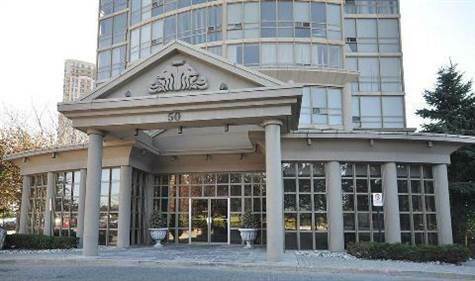 Hurontario/Eglinton, Mississauga - Luxurious 1 Bedroom Condo *Sub Penthouse * In Sought After 'Esprit' Building. Come And Admire This Fully Renovated One Bedroom Open Concept Designed Condo With The Best Of Upgrades. Featuring Engineered Hardwood Floors, Granite Floors, Granite Counters, Mosaic Black Splash, Enjoy Panoramic Views With Floor To Ceiling Windows And Solar Effective Blinds. California Closet Organizers In Master And Foyer.